The Chanel Boy Bag is an update to the classic flap bag and like the original has become a favorite among handbag lovers. It is a bag you will have forever and it goes will almost anything. However, at a hefty price tag, this purse is not a realistic purchase for most people. 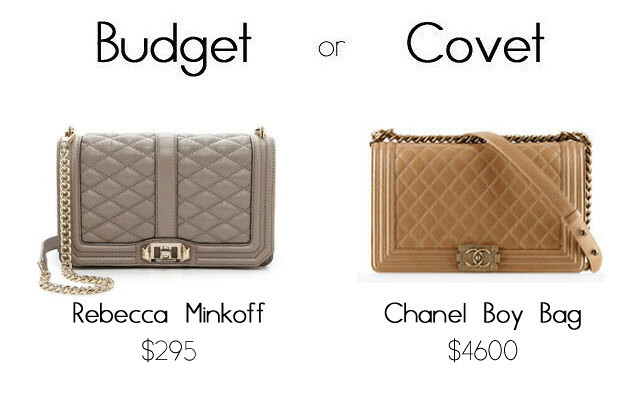 At a fraction of the price, Rebecca Minkoff offers her Love bag with the same style and appeal. While the Rebecca Minkoff may not hold the brand status of Chanel, it is still a great, high quality bag.